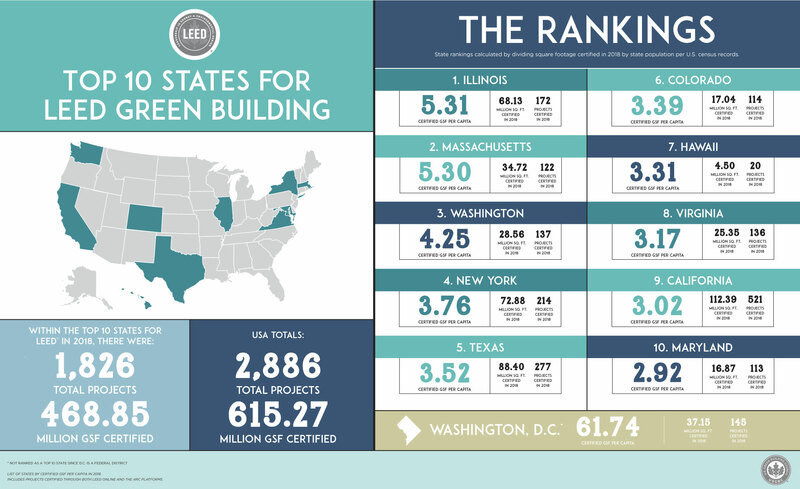 The U.S. Green Building Council released in early February its annual list of Top 10 States for LEED, the world’s most widely used green building rating system. 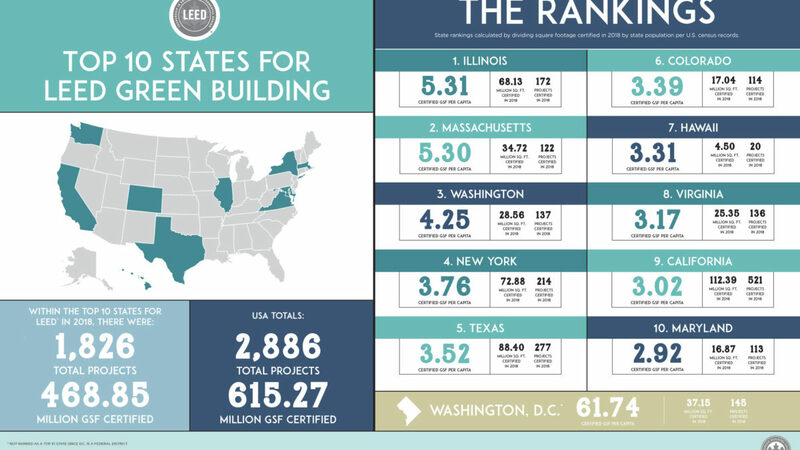 Illinois topped the list, which ranks states based on the number of LEED-certified square feet per person. 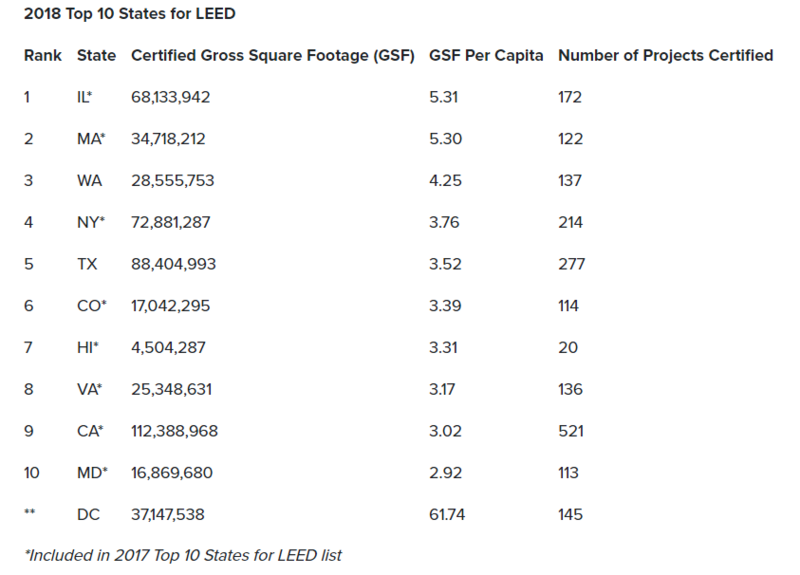 The Top 10 states for LEED are home to 128 million Americans and together include more than 468 million gross square feet of LEED-certified space. Buildings that are LEED-certified create healthier spaces for people, as well as use less energy and water, reduce carbon emissions and save money for families, businesses and taxpayers. Maryland: The Merriweather Post Pavilion Stagehouse is a LEED Silver home-away-from-home for touring artists playing at the iconic venue and reflects many of the artists’ environmental values.